Employers are responsible for protecting employees against health and safety hazards on the job. Employees have the right to know about potential hazards and to refuse to perform work they believe is dangerous. Employees are also responsible for working safely with hazardous materials. Every workplace has existing health and safety hazards. Some hazards are identified and easily corrected, yet other hazards create extremely dangerous situations that may pose a threat to employees’ health. Learning how to recognize and prevent workplace hazards is the best way to protect yourself. Type of required employee safety training. Protective equipment/tools needed within a particular job. 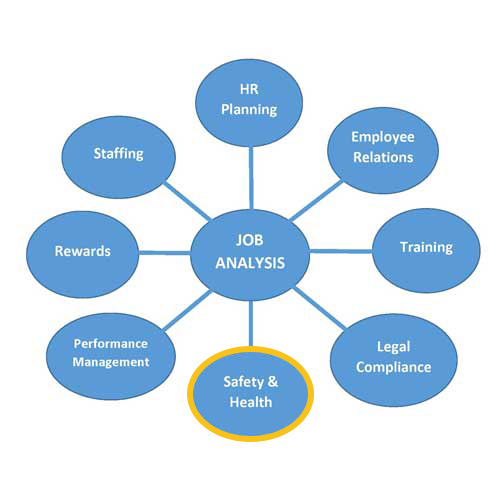 Another popular job analysis method that specifically identifies job hazards is called job hazard analysis. This technique focuses on job tasks as a way to proactively identify job hazards before an accident occurs. Job hazard analysis focuses on the relationship between the worker, the tasks, tools used, and the work environment. Data should reveal controlled hazards and uncontrolled hazards. After you identify both controlled hazards and uncontrolled hazards, you take steps to eliminate or reduce them to an acceptable risk level. Stay tuned for next week’s topic on how JTA data is useful for EMPLOYEE RELATIONS.